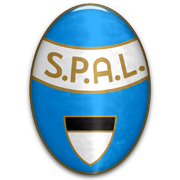 Without a victory in the first 2 rounds the proud Napels club is starting this season very disappointing. Despite the title ambitions Napoli is nog acting like a team that wants the title. Like everyone expected Empoli is in bottom of the table with 2 losses. It's time for manager Maurizio Sarri that he is the right man on the right spot. With new signings Allan and Chiriches Napoli should be able to beat Empoli and continue the competition positively.